These 'Miles' ballpoint pens from designer brand Cerruti 1881 feature a classical and refined shape that looks good and handles beautifully. 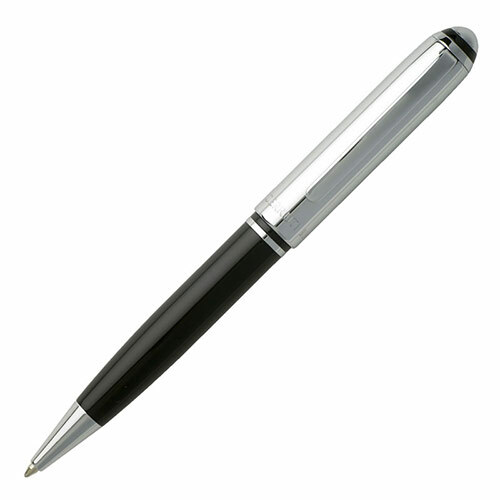 They have a shiny black lacquered finish on the body and polished chrome plated finish on the detachable cap. 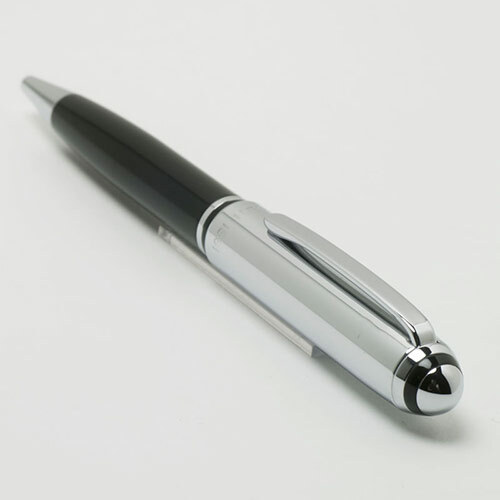 They hold a Parker type refill and are supplied with one blue ink cartridge. 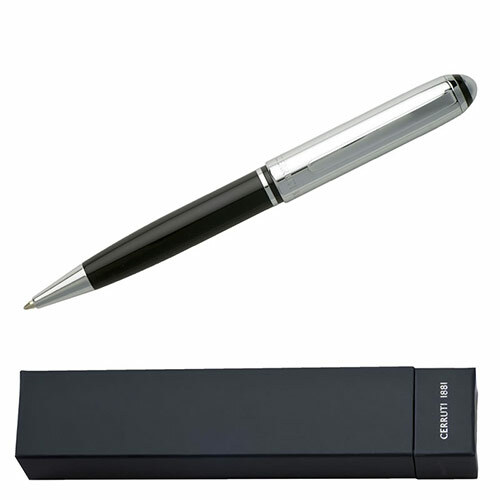 Each of these black and chrome Cerruti ballpoint pens is supplied presentation boxed and offered with text and/or logo engraving options.